While some individuals may think that refinancing their mortgage is a quick move that will allow you to save money, this is not something that is entirely true in every situation. As with all refinances, there are costs associated which can sometimes mean that even if you are able to get a lower interest rate, it can actually make things more expensive for you in the long term. As well as this it can be very inefficient and misleading to look at a lot of different lender offers. With that being said, there are some instances where refinancing your mortgage can work out in your favour, it is simply a matter of making sure that you are able to find out if a refinance will be right for you at this present moment. We’ve worked through the pros and cons, so watch our video and read on for our opinion. One of the most straightforward things to consider when looking into refinancing your mortgage is whether you will genuinely be able to get a cheaper rate mortgage. This, coupled with how long it will take you to pay off the closing costs, will be your main factors to consider. This is not dissimilar to when you use a short term loan broker like LoanPig as we look for the best possible short term loan for you and your needs. However, while you may be looking for a payday loan to improve your current financial position, this does not a loan will be the best option for you if you are in a great deal of debt already. Every mortgage, whether it is a refinanced one or not, will incur some form of fee which is something to keep in mind during this time and is why it’s important that you consider your whole financial situation before deciding whether you should refinance or not. If you have high interest credit cards but have the money to pay of closing costs then you may want to spend your money paying off your credit card fees as opposed to refinancing. Some banks and mortgage brokers offer out loans that have a prepayment penalty. This means that while you may be able to pay the loan off early, you will also need to pay a fee for doing so which can be quite pricey. 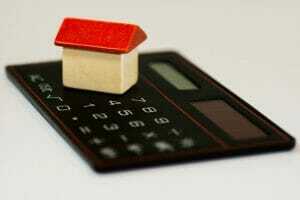 This is where refinancing may be more costly than beneficial. If you find that your credit score has improved from the rate at which it was in the past when you obtained your mortgage initially, you may well be able to qualify for a lower rate. Checking your credit report will be able to offer you the best indication of whether you should look into refinancing.